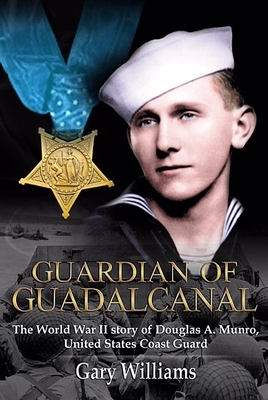 The World War II biographical account of Petty Officer Douglas A. Munro, United States Coast Guard, the Coast Guard's only Medal of Honor recipient. Gary Williams is a graduate of the University of Dayton with a master s degree in public administration. Married with six children, he retired from the State of Ohio in 2011. He began his writing in 2003 with the title Siege in Lucasville. He published SEAL of Honor: Operation Red Wings and the Life of LT Michael P. Murphy, USN in 2010 and Heart of A Lion: The Leadership of LT Michael P. Murphy, U.S. Navy SEAL in 2012."